Design and fabrication of hybrid materials with optimal symbiosis of organic semiconductors, inorganic nanoparticles and graphene properties. Applications: transparent electrodes and nanostructured active layers in photovoltaic cells, electroluminescent devices, field effect transistors and sensors. Chemical and thermal reduction mechanisms in few layer thin films and bulk graphene oxides. Hybrid graphene based materials: chemically derived graphene thin films or CVD graphene with metallic, semiconductor or oxide nanoparticles. Development and optimization of a novel mask-free cost-effective technique for micro/nano-patterning based on electrical micro/nano-discharges compatible with large area manufacturing. CVD graphene and nanographene on different metal thin films. “MATERIALES HIBRIDOS BASADOS EN GRAFENO PARA APLICACIONES EN ENERGIA Y DETECCION OPTICA”. Enero 2016- diciembre 2018, MAT2015-65356-C3-1. “PHAMA 2.0, Materiales híbridos avanzados para aplicaciones fotónicas” Programa de I + D entre grupos de investigación de la Comunidad de Madrid. Proyecto concedido. 2015-2018. Raman spectroscopy for the study of reduction mechanisms and optimization of conductivity in graphene oxide thin films - X. Diez-Betriu, S. Alvarez-Garcia, C. Botas, P. Alvarez, J. Sanchez-Marcos, C. Prieto, R. Menendez, A. de Andres, J Mater Chem C 1, 6905 (2013). Comparative Response of Biosensing Platforms Based on Synthesized Graphene Oxide and Electrochemically Reduced Graphene - E. Casero, C. Alonso, L. Vazquez, MD. Petit-Dominguez, AM. Parra-Alfambra, M. de la Fuente, P. Merino, S. Alvarez-Garcia, A. de Andres, F. Pariente, E. Lorenzo, Electroanal 25, 154 (2013). Carbon nanotubes-mesoporous silica composites as controllable biomaterials - M. Vila, JL. Hueso, M. Manzano, I. Izquierdo-Barba, A. de Andres, J. Sanchez-Marcos, C. Prieto, M. Vallet-Regi, J Mater Chem 19, 7745 (2009). Rare earth based organic and inorganic materials for applications in lighting and optical thermometry and as phosphors. “Materiales híbridos avanzados para aplicaciones fotónicas” Programa de I + D entre grupos de investigación de la Comunidad de Madrid. S2009/MAT-1756. Multimetal rare earth MOFs for lighting and thermometry: tailoring color and optimal temperature range through enhanced disulfobenzoic triplet phospho - RF. D'Vries, S. Alvarez-Garcia, N. Snejko, LE. Bausa, E. Gutierrez-Puebla, A. de Andres, MA. Monge, J Mater Chem C 1, 6316 (2013). Star-shaped hexaaryltriindoles small molecules: Tuning molecular properties towards solution processed organic light emitting devices - C. Coya, C. Ruiz, AL. Alvarez, S. Alvarez-Garcia, EM. Garcia-Frutos, B. Gomez-Lor, A. de Andres, Org Electron 13, 2138 (2012). Stable organic radical stacked by in situ coordination to rare earth cations in MOF materials - F. Gandara, N. Snejko, A. de Andres, JR. Fernandez, JC. Gomez-Sal, E. Gutierrez-Puebla, A. Monge, Rsc Advances 2, 949 (2012). Optical properties of nanometric TiO2 clusters deposited on thin films by high pressure sputtering - R. Martinez-Morillas, J. Sanchez-Marcos, A. de Andres, C. Prieto, Surf Coat Tech 204, 1893 (2010). Crystal structure and charge-transport properties of N-trimethyltriindole: Novel p-type organic semiconductor single crystals - EM. Garcia-Frutos, E. Gutierrez-Puebla, MA. Monge, R. Ramirez, P. de Andres, A. de Andres, R. Ramirez, B. Gomez-Lor, Org Electron 10, 643 (2009). A rare-earth MOF series: Fascinating structure, efficient light emitters, and promising catalysts - F. Gandara, A. de Andres, B. Gomez-Lor, E. Gutierrez-Puebla, M. Iglesias, MA. Monge, DM. Proserpio, N. Snejko, Cryst Growth Des 8, 378 (2008). Self-sterilized EVOH-TiO2 nanocomposites: Interface effects on biocidal properties - ML. Cerrada, C. Serrano, M. Sanchez-Chaves, M. Fernandez-Garcia, F. Fernandez-Martin, A. de Andres, RJJ. Rioboo, A. Kubacka, M. Ferrer, M. Fernandez-Garcia, Adv Funct Mater 18, 1949 (2008). Design, growth and optimization of new transparent oxide and nitride based thin films and multilayers with tuned electronic and piezoelectric properties. Amorphous-nanocrystalline Al doped ZnO transparent conducting thin films - X. Diez-Betriu, R. Jimenez-Rioboo, J. Sanchez-Marcos, E. Cespedes, A. Espinosa, A. de Andres, J Alloy Compd 536, S445 (2012). Optical and transport properties of Ti-doped In2O3 thin films prepared by electron beam physical vapour deposition - J. Sanchez-Marcos, I. M. Ochando, R. Escobar Galindo, R. Martinez-Morillas, C. Prieto, Phys Status Solidi A 207, 1549 (2010). as macroscopic objects but also with particular focus on the study of interfaces (Oxidetronics). Optimizing the mechanisms involved in the control of: 1.-Magnetoresitsance/electroresitance from strain fields in piezo/manganite heterosetructures i. e. manipulation of the magnetic and electronic states of the ferromagnetic (manganite)layers byactuation upon the piezoelectric layer; 2.-Magnetoresistance in manganite cuprate heterostructures,determining the relative importance of the mechanism involved ( proximity effects, quasiparticles diffusion, stray fields and electronic reconstruction at the interfaces). 3. The electronic structure at the interface between complex oxides as a new route to doping alternative to the conventional chemical element substitution. This scenario includes the electrostatic doping due to electric field induced depletion and accumulation layers, bandbending at pn junctions or Schottky contacts as well as charge tranfer porcoesses stemming from valence or polarity mismatch. Preparation and study of oxides with interesting magnetic, optical and electronic properties and their correaltion to the structure and the nanosize. 1) structure-properties correlation: the structural repercussion of a high covalency of themetal-oxygen bond; effect of the charge disproportionation; 2) study of the metal-insulator transitions in oxides with strong electronic correlation; 3) comprehension of the magnetic coupling mechanisms and transport in magnetoresistive materials; 5) study of the ordered magnetic structures and charge ordering phenomena in mixed-valence systems; 6) Understanding multiferroism: unveiling the mechanisms of magnetic-electric coupling. Structural behavior of Co/Cu multilayers studied by X-ray absorption spectroscopy - C. Prieto, R. Castaner, JL. Martinez, A. deAndres, J. Trigo, JM. Sanz, J Magn Magn Mater 161, 31 (1996). Preparation of thin films formed by nanometric structures presenting ferromagnetism at room temperature by overcoming the superparamagnetic limit. The nanometric size of the ferromagnetic clusters allows, for instance, the extreme packing needed in high density recording materials or tunneling magnetoresistance needed for spintronic devices. Exchange bias and magnetic behaviour of iron nanoclusters prepared by the gas aggregation technique - J. Sanchez-Marcos, MA. Laguna-Marco, R. Martinez-Morillas, F. Jimenez-Villacorta, E. Cespedes, N. Menendez, C. Prieto, J Alloy Compd 536, S265 (2012). On the Origin of the Magnetism of Mn-Zn-O Systems: Structural, Electronic, and Magnetic Study of Exotic MnO2-delta/ZnO Thin Films - E. Cespedes, MA. Laguna-Marco, F. Jimenez-Villacorta, J. Chaboy, R. Boada, C. Guglieri, A. de Andres, C. Prieto, J Phys Chem C 115, 24092 (2011). Gold embedding influence on the magnetic behaviour of iron in Fe/Si3N4 multilayers prepared by sputtering - J. Sanchez-Marcos, F. Jimenez-Villacorta, E. Cespedes, A. Munoz-Martin, C. Prieto, Mater Lett 65, 13 (2011). Decoupling mechanisms and magnetic stability of nanostructured iron chains prepared by sputtering - F. Jimenez-Villacorta, E. Cespedes, C. Ocal, C. Prieto, Appl Phys Lett 98, 102513 (2011). X-ray magnetic circular dichroism study of the blocking process in nanostructured iron-iron oxide core-shell systems - F. Jimenez-Villacorta, C. Prieto, Y. Huttel, ND. Telling, G. van der Laan, Phys Rev B 84, 172404 (2011). Exchange bias in iron oxide nanoclusters - J. Sanchez-Marcos, MA. Laguna-Marco, R. Martinez-Morillas, E. Cespedes, F. Jimenez-Villacorta, N. Menendez, C. Prieto, J Phys: Condens Matter 23, 476003 (2011). Study of nanoconductive and magnetic properties of nanostructured iron films prepared by sputtering at very low temperatures - F. Jimenez-Villacorta, C. Munuera, C. Ocal, C. Prieto, J Nanopart Res 12, 1117 (2010). Effects of interparticle interactions in magnetic Fe/Si3N4 granular systems - F. Jimenez-Villacorta, J. Sanchez-Marcos, E. Cespedes, M. Garcia-Hernandez, C. Prieto, Phys Rev B 82, 134413 (2010). Ferromagnetism in SnO2-based multilayers: Clustering of defects induced by doping - A. Espinosa, M. Garcia-Hernandez, N. Menendez, C. Prieto, A. de Andres, Phys Rev B 81, 064419 (2010). Magnetic properties and interaction mechanisms of iron-based core-shell structures prepared by sputtering at low substrate temperatures - F. Jimenez-Villacorta, C. Prieto, J Phys: Condens Matter 20, 085216 (2008). X-ray absorption and magnetic circular dichroism characterization of a novel ferromagnetic MnNx phase in Mn/Si3N4 multilayers - E. Cespedes, Y. Huttel, L. Martinez, A. de Andres, J. Chaboy, M. Vila, ND. Telling, G. van der Laan, C. Prieto, Appl Phys Lett 93, 252506 (2008). J Mater Chem C 1, 6905 (2013). Highly reduced few-layer graphene oxide films with conductivities of up to 500 S cm(-1) are obtained. The thin films with an optimized compromise between sheet resistance (3.1 k Omega sq(-1)) and transparency (around 80% to 90%) are suitable for touch screens and transparent electrodes in OLEDs. We discuss the effects of low temperature annealing and chemical reduction on the properties of the films and present an optimized reduction process that allows the original 2D/G Raman intensity ratio of few-layer graphene to be recovered. The Raman spectrum of graphene oxide is found to be only related to oxygen-free graphene-like regions with Raman bands at 1130 and 3155 cm(-1) that probably involve C-H vibrations of rings and edges, while a band at 1700 cm(-1) is assigned to irregular rings such as Stone Wales defects. All the bands involve resonant Raman processes and disappear in highly reduced samples. Clear correlations of the D band width with the sp(2) content in thin films and resistivity have been observed, indicating that this is a good Raman parameter for evaluating the quality of the samples. The structural defects produced by the release of embedded water and some of the oxygen functional groups during annealing are detrimental for intra-grain conductivity but greatly enhance inter-grain connectivity. In this work, we report the synthesis and characterization of different kinds of graphene nanomaterials and their applicability to the development of biosensing platforms. We have synthesized graphene oxide (GO) following a modified Hummers method, which has been subsequently reduced by electrochemical procedures. This reduction strategy precludes the employment of toxic solvents, leading to a product, electrochemically reduced graphene (ERG), free of contaminants. The characterization of the synthesized nanomaterials has been performed by different techniques such as X-ray diffraction spectroscopy (XRD), Raman spectroscopy, X-ray photoelectron spectroscopy (XPS), scanning electron microscopy (SEM) and atomic force microscopy (AFM). The information gathered by this combination of techniques confirms that i) the synthesis methodology affords the production of GO nanosheets, which present a typical lateral dimension of several hundreds of nanometers and a thickness value of 1.3 +/- 0.1 nm, ii) the reduction step has been successfully achieved leading to graphene nanosheets free of oxygen functionalities with an average lateral dimension of at least 1 micrometer and a thickness value of 2.8 +/- 0.2 nm. Once we have confirmed that both materials have been successfully synthesized, we have studied the effect of the effect of their inclusion in biosensing platforms on the analytical response, selecting a lactate oxidase based biosensor as a model system. We have demonstrated that although the incorporation of GO or ERG to the device results in an enhancement of the analytical response of the resulting biosensing platform, the former system offers slightly better analytical properties and a more reproducible response than the ERG one. J Mater Chem 19, 7745 (2009). A composite based on mesoporous ordered silica (SBA-15) and carbon nanotubes (CNTs), has been synthesized to be used in biomedical applications as a conductor composite for cell stimulation and regeneration. The influence of the CNT addition time on the SBA-15-CNTs composite synthesis has been studied and optimized attending to morphology and structure, to produce a homogeneous material with both structures preserved. With the addition of the CNTs, the electrical resistance has decreased 8 orders in magnitude in comparison to the SBA-15 itself. The potential of these materials to be used as bioimplants has been evaluated in vitro by soaking the composite in simulated body fluid (SBF) at 37 degrees C.
J Mater Chem C 1, 6316 (2013). New isostructural compounds [Ln(7)(3,5-DSB)(4)(OH)(9)(H2O)(15)]center dot 4H(2)O (Ln = Eu, Gd and Tb) (DSB = 3,5-disulfobenzoate), with excellent optical properties, have been obtained and studied. By combining the lanthanide cations with the DSB ligand the formation of a singular heptanuclear [Ln(7)(OH)(9)](+12) metallic core secondary building unit (SBU) has been promoted. This core is defined as a bi-capped dicubane SBU, and is a 4-connected node in a bidimensional net with (4(4).6(2)) topology. The highly efficient emission from the triplet state of the disulfobenzoic ligand in the Gd-MOF and the exponential temperature dependence of I-Triplet/I-Ln = I-o exp(-E-A/k(B)T) allow the design of thermometers with different color ranges through the adequate multimetal combination that cover almost the whole visible spectrum and are useful in a wide temperature range (10-300 K) with unprecedented sensitivities up to 32% K-1. The Eu-DSB and Tb-DSB MOFs present an optimum antenna effect, a temperature independent f-f emission temporal decay and, in spite of the close packing of the Ln ions inside the MOF, no concentration quenching. The external efficiency is drastically increased in MOFs with a combination of a few percent of Eu and/or Tb with Gd by means of radiative and non-radiative energy transfers from the Gd ions and Gd connected ligands. Org Electron 13, 2138 (2012). We present a series of differently substituted star-shaped hexaaryltriindoles with tunable light-emitting properties. 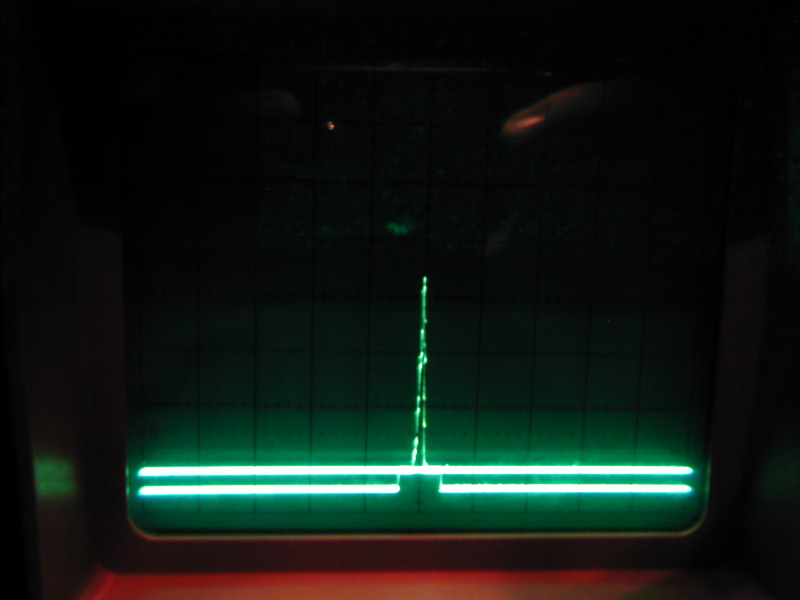 The deep blue emission is unchanged by donor peripheral substituents while an increasing acceptor character produces a reduction of the optical gap, an increased Stokes shift and eventually leads to the appearance of a new electronic level and to the simultaneous deep blue (413 nm) and green (552 nm) emission in solution. Quenching by concentration increases with the acceptor character but is lower as the tendency of these compounds to aggregate is stronger. Solution processed thin films present optical and morphological qualities adequate for device fabrication and similar electronic structure compared to solutions with an emission range from 423 nm up to 657 nm (red), demonstrating the possibility of tuning the energy levels by chemical functionalization. We have fabricated and characterized single-layer solution processed organic light emitting diodes (OLED) to investigate the influence on transport and emission properties of the substituting species. We analyzed the I-V response using a single-carrier numerical model that includes injection barriers and non-uniform electric-field across the layer. As a result, we obtained the electric field dependence of the mobility for each device. Best results are obtained on the most electron rich derivative functionalized with six donor methoxy groups. This material shows the highest emission efficiency in solid state, due to aggregation-induced enhancement, and better transport properties with the highest mobility and a very low turn-on voltage of 2.8 V. The solution processed OLED devices produce stable deep blue (CIE coordinates (0.16, 0.16)) to white (CIE coordinates (0.33, 0.3)) emission with similar luminous efficiencies. (C) 2012 Elsevier B.V. All rights reserved. Rsc Advances 2, 949 (2012). With the correct choice of the solvothermal conditions, we have achieved the unprecedented in situ formation of the free radical form of the anthraquinone-1,5-disulfonate molecule, and its favorable organization. The semiquinone radicals are coordinated to rare-earth cations to produce a 2D framework with a very high charge mobility and electric conductivity through the pi-pi-interactions. The existence of AQDS(3-center dot) anion radicals is proven on the base of: i) the electrical neutrality: elemental analyses for the different lanthanide RPF-8 bulks, the maximum residual electron densities in the structure, rule out the existence of any other neutralizing ion, ii) the geometrical modifications in the antraquinone molecules, and iii) although less definitive, due to the low magnetic moment mu = 0.39 mu(B), the exhibited paramagnetism for the La (3+) with no unpaired electrons. Surf Coat Tech 204, 1893 (2010). Titanium dioxide thin films have been prepared by using a magnetron sputtering source placed inside a high pressure aggregation chamber. This preparation technique allows the production of fine particles from a target material through sputtering after cluster aggregation inside a high pressure (10(-1) mbar) He/Ar gas atmosphere. After that process, by channelling the clusters to a low pressure main deposition chamber, it is possible to prepare films made up by nanometric clusters. The distribution of the cluster size can be changed controlling the residence time within the aggregation zone. Films of clusters with different sizes have been deposited after varying the Ar/He atmosphere ratio and its pressure in the aggregation region. Cluster size distribution has been characterized by Atomic Force Microscopy as a function of different preparation parameters. Finally, the crystalline degree, structural phase and band-gap of the titanium oxide were obtained by means of optical spectroscopies to study the size dependence of the nanometric clusters properties. (C) 2009 Elsevier B.V. All rights reserved. Org Electron 10, 643 (2009). We report on a new p-type organic semiconductor single crystal, 5,10,15-trimethyl-10,15-dihydro-5H-diindolo[3,2-a:3',2'-c]carbazole (N-trimethyltriindole). 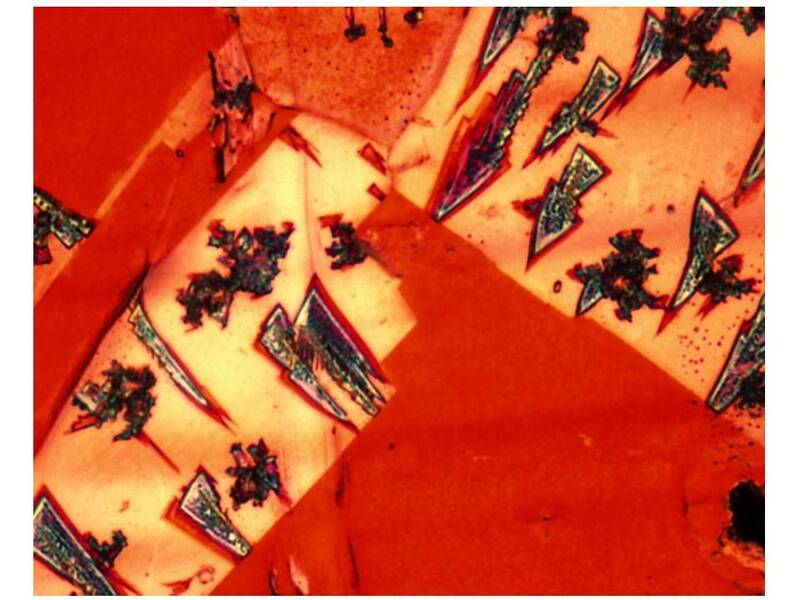 This molecule crystallizes forming a highly ordered columnar structure in which stacked molecules are situated at two alternating distances (3.53 angstrom and 3.68 angstrom) along the column as determined by single crystal X-ray diffraction analysis. These short intermolecular distances between adjacent units, make this system an ideal candidate for charge-transport processes along the stacks. Relevant parameters for transport (i.e. internal reorganization energies, transfer integral) have been estimated by DFT calculations at a 6-311 G(d,p)/B3LYP level of theory. As a double check for the transfer integral, the electronic band structure of a one-dimensional stack of molecules has been computed. The electronic properties of this material have been studied both theoretically and experimentally. Its HOMO value is found to coincide with Au work function (Phi(Au) = 5.1 eV), thus low barriers are expected for hole injection from gold electrodes. The hole mobility of this material has been predicted theoretically considering a hopping-type mechanism for the charge-transport and determined experimentally at the space charge limited current (SCLC) regime of the current-voltage measurements. Both theoretical and experimental values are in good agreement. The high hole mobility (mu(min) = 0.4 cm(2) V(-1) s(-1)) of this material points towards its useful application in the organic electronics arena. N-Trimethyltriindole single crystals constitute an essential model to study transport properties of triindole-based materials and to design new derivatives with improved electronic performance. (C) 2009 Elsevier B.V. All rights reserved. Cryst Growth Des 8, 378 (2008). A new family of rare-earth polymeric framework RPF-4 has been obtained and its structure solved from an intrinsically triple twinned crystal. The framework formed by a H-O bond free rare-earth matrix, with the Ln atoms separated in two directions, makes them very promising materials for light-emitting diodes. The properties of the materials as heterogeneous catalysts are reported, too. IR spectroscopy suggests the presence of a peroxo complex that acts as active species in the oxidation reaction. Adv Funct Mater 18, 1949 (2008). Nanocomposite materials obtained by TiO2 incorporation into ethylene-vinyl alcohol copolymers, extensively used in food packaging, are prepared via a straightforward melting process. The structural characteristics of the nanocomposites are examined using wide and small angle X-ray scattering (WAXS/SAXS), and vibrational infrared and Raman spectroscopies. A microscopy (SEM/TEM) study shows that the materials obtained are highly homogeneous at the nanometric scale, exhibiting an intimate contact between both the organic and inorganic components. TiO2 incorporation into this polymer matrix renders self-sterilized nanocomposite materials upon light excitation, which are tested against nine micro-organisms (gram-positive and gram-negative bacteria, cocci, and yeasts) typically involved in food contamination and/or degradation. Overall, the nanocomposites display an impressive performance in the killing of all micro-organisms with a maximum for an oxide content between 2-5 wt %. The measurement of the physico-chemical properties together with the structural characterization of the materials provide conclusive evidence that the nanocomposites biocidal capability born of the nanometric organo-morganic interface and rationalize the existence of a maximum as a function of the TiO2 content. J Alloy Compd 536, S445 (2012). Al-doped ZnO films have been deposited at room temperature by means of RF sputtering under different conditions and subjected to annealing treatments looking for amorphous Transparent Conducting Oxide (TCO) films in the search for their integration into the emerging area of the flexible electronics. Structural studies have been performed as well as optical and electrical characterization. 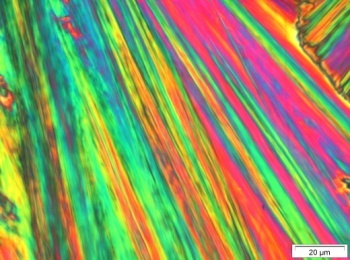 Spectroscopic ellipsometry has been used for the determination of the optical gap for films grown on Si and the films thickness. The amorphous fraction of the films (up to 86%) depends on the substrate and RF power but not on the annealing temperature up to 600 degrees C for glass substrates. The resistivity is found to be independent of the amorphous degree and correlates to the optical bandgap which presents three regimes depending on the annealing temperature. (c) 2012 Elsevier B.V. All rights reserved. Phys Status Solidi A 207, 1549 (2010). J Magn Magn Mater 161, 31 (1996). The study of the Co environment in Co/Cu multilayers by X-ray absorption spectroscopy shows that a significant change in the cobalt environment occurs when the Cu thickness is smaller than 20 Angstrom. Data are explained in terms of an island structure of the Co layers. This result agrees with a non layer-by-layer growth mode of cobalt over copper. The temperature dependence of the magnetization presents also differences for these samples according to the structural behavior. J Alloy Compd 536, S265 (2012). Iron nanoclusters have been deposited by the gas-phase aggregation technique to form multilayered structures with outstanding exchange-bias (H-E) values up to H-E = 3300 Oe at low temperatures. In order to explain the observed magnetic properties, composition and crystallographic phase have been determined by X-ray absorption spectroscopy. A metal-oxide core-shell arrangement has to be discarded to explain the large obtained values of H-E since structural results show nanoclusters formed by the antiferromagnetic alpha-Fe2O3 oxide. Moreover, nanoparticles of few nanometers formed by substoichiometric alpha-Fe2O3 explain the observed weak ferromagnetism and let to understand the origin of large exchange bias by the interaction between different spin sublattice configurations provided by the low iron coordination at surface. (c) 2011 Elsevier B.V. All rights reserved. J Phys Chem C 115, 24092 (2011). The structural, electronic, and magnetic characterization of sputtered MnO2-delta/ZnO films showing room temperature ferromagnetism has been carried out by a number of techniques. To elucidate the origin of the ferromagnetic order, a novel approach by studying XAS and XMCD signals at both Mn and Zn K edges in combination with the macroscopic magnetization measurements has been performed. The analysis of the XAS profile at the Mn edge indicates the coexistence of Mn4+/Mn3+ with a slightly distorted MnO2-delta environment. The XMCD signal at the Zn K edge indicates the existence of an intrinsic magnetic moment in Zn. The Zn edge dichroic intensity is, however, 1 order of magnitude lower than in the case of Mn, being the magnetic moment of Mn, 2.1-2.4 mu(B) per Mn cation participating in the ferromagnetic phase, the main contribution to the total magnetization. The ferromagnetic phase has been assigned to high-density regions of Mn cations with a MnO2-delta distorted environment, mainly allocated at the nonstoichiometric and highly defective ZnO grain boundaries, with a sufficient extension to overcome the thermal energy over room temperature. The ferromagnetic coupling has been related to modifications of the Mn-O-Mn bonds, distances, and angles, promoted by neighboring ZnO and forming stable magnetic configurations that lead to new forms of exchange interaction: ferromagnetic superexchange or a double-exchange mechanism between the Mn4+ and Mn3+. Highly defective regions and structural distortions, together with complex Mn oxidation states, appear to be key features in the magnetic properties of Mn-Zn-O. Mater Lett 65, 13 (2011). Appl Phys Lett 98, 102513 (2011). Phys Rev B 84, 172404 (2011). Experimental evidence for magnetothermal behavior in iron-iron oxide nanostructured systems has been obtained using x-ray absorption spectroscopy (XAS) and x-ray magnetic circular dichroism (XMCD) at the Fe L(2,3) edges. The purpose of this study is the determination of the blocked state in these spin-glass-like core-shell systems. A first overview of the magnetic species participating in the magnetic response was obtained by analyzing the XMCD at saturating fields. Also, the XAS revealed the existence of an antiferromagnetic FeO phase, likely located at the interface regions. Finally, measurements were performed at low temperature and intermediate field, where a frozen state below the blocking energy is observed. The results show that the oxide phase spins are oriented at low temperature, while the magnetic spins of the metallic core do not contribute to the XMCD, suggesting that the blocking process mainly involves the magnetic particle superspins rather than the oxide coverage phase. J Phys: Condens Matter 23, 476003 (2011). Iron oxide nanoclusters have been prepared by the gas-phase aggregation technique to form thin film structures with very high exchange bias values (up to 3000 Oe at low temperatures). Composition has been analysed by x-ray absorption and Mossbauer spectroscopies in order to elucidate the actual origin of the observed magnetic behaviour. The formation of a metal-oxide core-shell arrangement to explain the observed exchange bias has to be discarded since results show no metallic iron content and the main presence of alpha-Fe2O3. The observed weak ferromagnetism and exchange bias are in agreement with the obtained size of alpha-Fe2O3 nanoparticles: weak ferromagnetism because of the well-known spin canting in this antiferromagnetic structure and exchange bias because of the interaction between different spin sublattice configurations promoted by the modification of iron coordination in alpha-Fe2O3 nanoparticles. Moreover, the preparation method is proposed for tuning both magnetization and exchange bias values by modification of the preparation conditions of alpha-Fe2O3 nanoparticles, which open new possibilities in the design of new materials with required properties. J Nanopart Res 12, 1117 (2010). A combined study of the surface nanostructure and electrical characteristics of iron thin films prepared on naturally passivated silicon wafers is presented. By means of conductive-scanning force microscopy, the influence of the substrate temperature during film preparation on both surface morphology and conductivity response is investigated. In addition, magnetic properties of these films are reported and correlated with the nanostructural properties. Films prepared at 200 K show granular core-shell magnetic behaviour exhibiting exchange bias. Both conductive and magnetic data indicate that samples prepared at low temperature behave as a percolated network of nanometric metallic iron clusters (with typical sizes of 20 nm) interconnected by oxidized chains (of 10 nm in diameter), showing an excellent system for nanotechnological exchange bias applications. Phys Rev B 82, 134413 (2010). An experimental evidence of the progressive modification in the magnetic behavior of granular Fe/Si3N4 samples due to interaction effects between particles is reported. Microstructural features and local structure were determined by x-ray absorption spectroscopy and transmission electron microscopy to select granular samples with predetermined cluster size. Fe/Si3N4 systems have been characterized by ac- and demagnetization measurements to study the gradual evolution of magnetic properties of granular systems, where three different behaviors have been observed. As-deposited samples with Fe thickness layers of 2.5 nm, present a modified superparamagnetic behavior, due to very weak interactions between very small Fe clusters separated by a nonmagnetic FeN phase. An evolution of the average blocking temperature at intermediate fields (T-B similar to H-3/2) is observed, similar to noninteracting systems, but first signatures of a frozen spin state at low temperatures appear. Annealed samples exhibit a noticeable modification from the multilayer character to a random three-dimensional organization of Fe clusters embedded in a Si3N4 matrix. After annealing, samples with initial Fe layer thickness of 0.7 nm provide iron cluster in the range of 1.3 nm and exhibit a superspin-glass state, with a de Almeida-Thouless evolution of the energy barriers (T-B similar to H-2/3) that is explained in terms of increasing interparticle interactions. Moreover, annealed samples, with initial layer thickness of 1.3 nm, supply iron cluster of near 3 nm that present stronger interactions and yield a superferromagnetic state, likely provided by residual ultrasmall particles between the blocked clusters. Phys Rev B 81, 064419 (2010). Several series of A/SnO2 and Mn/B multilayers, where A and B are thin layers (0.4-10.1 nm) of SnO2, SiO2, Si, Al, Mn, or MnOx, have been investigated magnetic, electronic, and structurally. The study demonstrates that the detected ferromagnetism is related to regions of high density of defects in SnO2 induced by doping under particular conditions. The observed room-temperature ferromagnetic (RTFM) signal does not scale to Mn content but increases with the number of interfaces and their roughness. The presence of Mn in 3+ oxidation state in the SnO2 lattice is a necessary condition but is not enough to promote ferromagnetism which also requires the presence of Sn2+. The high oxygen deficiency induced by Mn doping in the tin-oxide layers is mostly compensated by the formation of the stable SnO phase. Moreover, the RTFM signal decreases upon annealing either in O-2 rich or in vacuum atmospheres. The combination of Mn with SiO2, Si, or Al produces paramagnetic signals but no ferromagnetism; consequently SnO2 is a crucial ingredient of this RTFM. The observed ferromagnetism may be explained by short-range ferromagnetic correlations between Mn probably mediated by induced holes at oxygen sites of SnO2 in the vicinity of trivalent Mn3+ doping ions. The inhomogeneous Mn distribution inside tin oxide at the multilayer interfaces may produce large enough regions with high defect concentration to allow long-range ferromagnetic order. All undoped SnO2 films, grown in a wide set of different conditions, show paramagnetic signals with high-J values but no ferromagnetism is detected probably because of the high density of defects required to establish a ferromagnetic order based in a short-range mechanism. J Phys: Condens Matter 20, 085216 (2008). The magnetic properties of partially oxidized nanocrystalline iron thin films prepared by DC-magnetron sputtering at low substrate temperatures in the 175-300 K range are studied. The preparation method is presented as a simple method for fabricating granular structures. 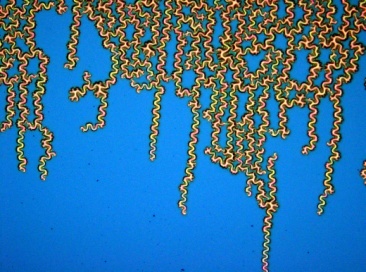 Films prepared at intermediate temperatures exhibit granular magnetic behaviour, in which nanocrystalline grains act as almost decoupled particles, surrounded by an oxide shell, forming exchange bias core-shell systems. The magnetic features of granular systems obtained by this new method are described and the mechanisms of interaction between metallic grains and their oxide shells are explained, as are their effects in the magnetization reversal process. Appl Phys Lett 93, 252506 (2008). Ferromagnetism above room temperature has been observed in Mn/Si3N4 multilayered films for the first time. Characterization of the structural and electronic properties was performed to study the ferromagnetic behavior of this system. X-ray absorption spectroscopy at the Mn K and L edges, as well as x-ray magnetic circular dichroism, evidences the presence of divalent Mn in the films. X-ray absorption near edge structure measurements, which are compared to calculations, confirms the presence of a slightly distorted Mn3N2 phase that is proposed to be the origin of the ferromagnetism in this system.